I don’t know if you’ve ever had the opportunity to own a car that was old enough or cheap enough that you had trouble with it leaking into the passenger compartment, but I have. I’ve actually had a few different cars that would get your wet feet if you jumped in after a rain storm. If you find yourself in a position where you’re asking yourself, “Why is my car leaking antifreeze inside my vehicle?” you’ll find that there are quite a few seals and openings into the cabin of your vehicle. This makes finding out where the water is coming from can often be a difficult job. You can try checking the seals on your doors, especially if you have free standing windows like some Subarus and sports cars have. Make sure the window is rolling up all the way and the seal is well seated in the jamb. You can also check sunroofs and even your windshield seal. Most leaks into the cabin come through your ventilation system. Most cars gather air at the base of the windshield under the back of the hood and draw it from there through the blower fan. Unfortunately this is also a place water likes to collect. Most vehicle ventilation systems have a drain to let the water out of the ventilation box while keeping the air flowing through the blower. Check to see if that drain is disconnected or clogged. The last thing you can check is to see if it really is water, or if it is an antifreeze leak coming into your car. Antifreeze runs through your heater core which usually sits somewhere behind or under your dashboard, many times on the passenger side. 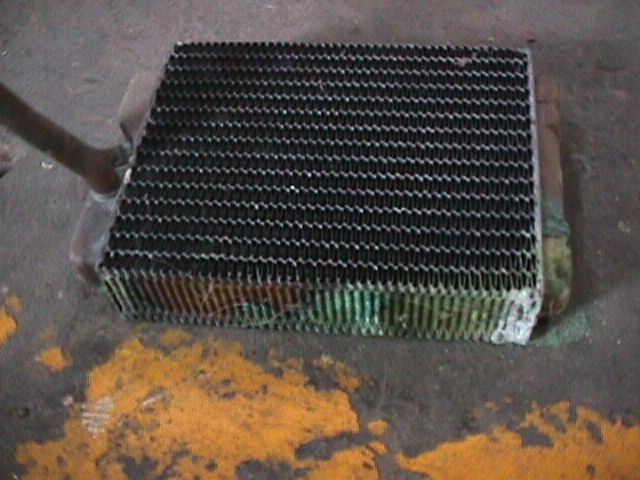 Heater cores are relatively fragile and it’s not unusual for them to acquire small leaks over time. To check if you have an antifreeze leak and not water, dab some up with a white cloth. If it is green, smells sweet or has a slimy feel it’s probably antifreeze. 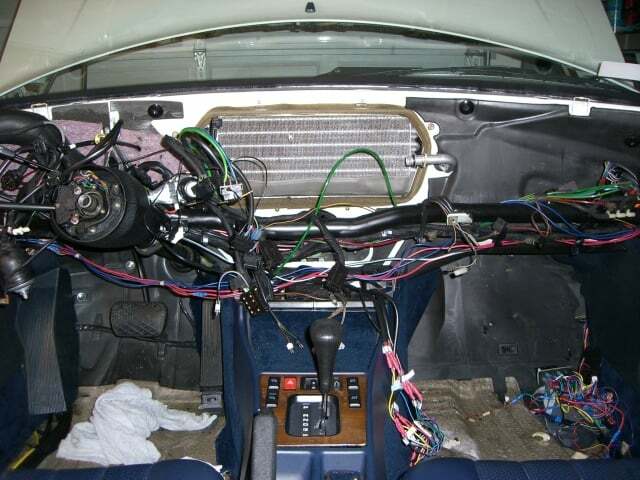 Due to the location of the heater core, most of the time they are extremely difficult to replace, even though it is a relatively inexpensive part. Due to the difficulty of replacement, repair costs can be high because of the long labor times that are charged. Often times, heat cores can even be difficult for a home mechanic to replace as well due to the number of electrical components that need to be removed and wires that will be left to get forgotten or crossed upon re-installation. The best solution for fixing a leaking heater core is to seal it from the inside out. This process does not require removal of any components, nor does it pose any risk to the rest of your cooling system. BlueDevil Pour-N-Go is the best sealing agent for stopping a leak in your heater core. When your car is cool, add BlueDevil Pour-N-Go directly to your radiator for best results. Next time you drive your car, Pour-N-Go will be circulated through your cooling system by your vehicles water pump. Once your car is warmed up, there will be a temperature differential at the leak point in your heater core. This temperature differential will activate the chemicals in Pour-N-Go causing a permanent chemical weld at the leak point. BlueDevil Pour-N-Go is suitable for heater cores made of all types of material. Dear Sr. I had a head gasket leak 2 weeks ago I used the pour-n-go HGS and it work, now I have discover that the car had a bypass on the heater core (Heater Radiator) . Please tell me if the existent HGS in the system can still seal the unknown suspected leak in the core. How long the pour-n-go maintain its effectivity? I will appreciate your prompt answer before i replace the faulty unit. Thank you. The BlueDevil “Pour N Go” only reacts to heat one time. Due to the fact that you are experiencing symptoms of a new head gasket leak you would need to reapply the product to stop the leak. My auto is leaking coolant and I don’t know what is causing this. It’s not leaking inside of the auto.but I do hear the water behind the dash. What do I do. ? Based on your description, we would recommend using the BlueDevil Head Gasket Sealer. As long as you are not losing water/coolant too quickly and the vehicle will maintain idle for a full 50 minutes, without overheating or stalling out, you would be a good candidate for the product. Feel free to contact our technical support line at 888-863-0426 with any other questions. As long as your vehicle can maintain idle for a full 50 minutes, without overheating or stalling out, and you are not losing more than about a quart of water/coolant during that span, you would be a great candidate for the BlueDevil Head Gasket Sealer (http://store.gobdp.com/head-gasket-sealer-38386/). Feel free to contact our technical support line at 888-863-0426 with any questions. My windshield fogs up and I have to keep adding coolant. I also occasionally get what looks like dried green coolant flakes blowing out my vents. My floor is dry. This has been going on 2 years. Will this product work to seal the leaking heater core AND without damaging other components? Thank you for asking about your Honda Accord. Based on your description, we do recommend using the BlueDevil Head Gasket Sealer to seal your leaking heater core. The product does not contain any solid or particulate matter, so it is a non-clogging product. Feel free to contact our technical support line at 888-863-0426 with any other questions. Thank you for asking about your Mazda. 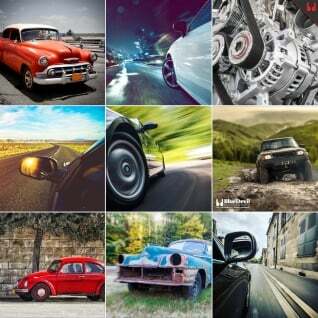 How quickly are you losing water/coolant? Which BlueDevil product did you use? Please contact our technical support line at 888-863-0426 so that we can get a little better understanding of the vehicle’s condition and be able to make any appropriate recommendations. I have a leak in my heater core. I used pour n go and had my car running for an hour with the heater on full blast. Once I tuned my car off I noticed that the passenger side had coolant all over the floor matt and drenched my carpet. Seemed to be dripping from the glove compartment. Why did this happen? Did the car just drain the liquid? Should I try another bottle? I still hear a leak coming from the vents, however no smoke or overheating. Please help! Unfortunately, it seems you may be losing coolant a little to quickly in order for the product to be able to work properly. Please contact our technical support team at 888-863-0426 so that we can assist you with the warranty information. Thank you for asking about your Pontiac Grand Prix. As long as the vehicle can idle for a full 50 minutes, without overheating or stalling out, and you are not losing more than about a quart of water/coolant during that 50 minutes, you would be a good candidate for the product. If you are losing water/coolant a little quicker than that, unfortunately, a hard part repair may be your best option. It sounds like your heater core is leaking. We recommend using 16 ounces of BlueDevil Head Gasket Sealer (http://store.gobdp.com/head-gasket-sealer-38386/). This will stop the fluid loss and get your vehicle back to normal running condition. As long as it is not losing more than about 1 quart of antifreeze during a hour run then there is a very good chance that BlueDevil Head Gasket Sealer will be able to seal it. HI I have a Nissan hard body 3.3 v6, I see the is water cooling coming to my left passenger side and mist on the windshield, it over headed before but never reached maximum heat, the power is still OK, what is the problem? Thanks for your question about your Nissan truck. We’re assuming the coolant is on your passenger floorboard and you’ve got mist on the inside of your windshield. If that is the case then you’ve got a leak in your heater core that is dripping onto your floorboard and the hot coolant is getting carried through your ventilation and hitting your windshield through the defroster. You can replace the heater core or use BlueDevil Pour-N-Go to seal the leak. If the coolant mist is on the outside of your windshield then you probably have a leak in a cooling system hose near your firewall and should be able to tell which one by opening the hood while your engine is idling and hot. Based on your description, we would recommend using the BlueDevil Head Gasket Sealer. As long as you are not losing coolant too quickly, you would be a good candidate for the product. Be sure to follow the cooling system capacity table on the back of the bottle to ensure you use the proper amount of the product. Feel free to contact our technical support line at 888-863-0426 with any other questions. Hi i have a 1986 nissan maxima at first i could hear hissing and I thought my radio was acting weird but then 7 minutes passed and coolant smoke was coming through my vents while I was driving then another 15 minutes pass and my whole car was filled with white smoke and some coolant was leaking from the bottom of my car. Thanks for your question about your Nissan Maxima. It sounds like you’ve got a leak in your heater core. The hissing and smoke would be coming from high pressure and temperature coolant leaking through the heater core into your ventilation system. As the leak got bigger, the coolant would condense and either leak onto your floorboards or out through the condensate drain for your HVAC system. You can use BlueDevil Pour-N-Go Head Gasket Sealer (available here: http://store.gobdp.com/pour-n-go-head-gasket-sealer-00209/) to seal to leak and get your car back to normal. Thank you for asking about your Pontiac G6. Based on your description, we would recommend using the BlueDevil Head Gasket Sealer to seal your antifreeze leak. Be sure to follow the capacity table on the back of the bottle for the proper amount of product to add. You would need about 16 oz. of the product for your vehicle. Thanks for your question about your RX8. Based on your description it sounds very much like you’ve got a leak in your heater core. For this type of leak, we recommend using BlueDevil Pour-N-Go. You can get more information about BlueDevil Pour-N-Go here: http://store.gobdp.com/pour-n-go-head-gasket-sealer-00209/. I have antifreeze in my passenger side floor also. My heater nor air conditioner work either and if my car sits and idles it over heats? Would this product work for me? In order to get the benefit of using the BlueDevil Head Gasket Sealer, the vehicle would need to be able to idle for a full 50 minutes without overheating or stalling out, and you shouldn’t be losing more than about a quart of water/coolant during that 50 minutes. If the vehicle can meet those basic guidelines, it would be a great candidate for the product. Feel free to contact our technical support line at 888-863-0426 with any other questions. Hey guys….I have a 2006 Ford Taurus and I have leakage into my passenger side cabin floor. The car rides rough when I turn on the heater/defrost, there is an odor, and light smoking from under the hood down around the manifold. I personally changed out the heater core (8 hrs ? thank goodness for YouTube lol) Thought the issue was fixed but the conditions are still occurring. I think I have an oil pan gasket leak as well. Based on this info, 1) what’s your professional opinion on what could be wrong? and 2) would Blue Devil HGS be useful? Thank you for asking about your Ford Taurus. Based on your description, if the same symptoms are still present, it sounds like you may still have a heater core leak. The BlueDevil Head Gasket Sealer would be able to seal a leaking heater core. As long as the vehicle can maintain idle for a full 50 minutes, without overheating or stalling out, you would be a great candidate for the product. I have a pontic grand am 2008 I saw my coolent light was on so I add coolent to my car, that was at 2:30pm at 12:am I saw that the coolent was leaking into my car I can not tell where the coolent is leaking from all I know is that my whole passengers side floor is soak. Can your product fix this issue??? Thank you for asking about your Pontiac Grand Am. Based on your description, you may be experiencing a heater core leak. We recommend using the BlueDevil Head Gasket Sealer for your heater core. As long as the vehicle will maintain idle for a full 50 minutes, and you are not losing more than about a quart of water/coolant during that 50 minutes, you would be a great candidate for the product. My car is quickly leaking antifreeze on the ground and in the car on the drivers side and it overheats quickly. I also noticed a grey fog coming from my cars vents too. If I get the Blue devil pour-n-go will that solve my problem? Do I jist let the car run while its in there or can I drive around? Unfortunately, you may be losing antifreeze a little too quickly for the product to be successful. In order to get the benefit of using it, the vehicle would need to be able to idle for a full 50 minutes, without overheating or stalling out, and you shouldn’t be losing more than about a quart of water/coolant during that 50 minutes. A hard part repair may be your best option. I have Ford Figo 2012 model , My antifreeze leaked with High Pressure for a 30 second and stopped , then have little hissing sound in my AC Out. But I dont have leaking Problem now , How to i Fix , will it come back again , This Bcz of overheating ? or Problem in Com presser ? Thank you for asking about your Ford Figo. Are you noticing a loss of antifreeze or refrigerant? If you are losing antifreeze, that would not be producing a hissing sound from the A/C, so the two issues would not be related. Please contact our technical support line at 888-863-0426 so that we can get a better understanding of the vehicle’s condition and be able to make any appropriate recommendations. I have a 1997 VW Golf. It leaks radiator fluid on to the passenger side. Inside of the car. Thank you for asking about your VW Golf. Based on your description, it seems you may be experiencing a heater core leak. We recommend using the BlueDevil Pour-N-Go Head Gasket Sealer. As long as you are not losing coolant too quickly, and the vehicle will maintain idle for a full 50 minutes, you would be a great candidate for the product. I have a ’04 Volvo S40. It is leaking coolant into the passenger side. I fill up the coolant tank and it almost immediately drains, but not onto the ground. I eventually see it all build up into the passenger side. Thank you for asking about your Volvo S40. Based on your description, it is possible you are experiencing a heater core leak. We recommend using the BlueDevil Head Gasket Sealer (http://store.gobdp.com/head-gasket-sealer-38386/) for your heater core leak. Be sure to follow the cooling system capacity table on the back of the bottle to ensure the proper amount of product is used. I have some questions about water pump leaking and oil leaking….I am tired of having my car, Chevy Impala 2007 to the auto shop 5 times in one month and I paid for these repairs nearly $1,700 to replacement parts and replacement oil fluids and other fluids. I wonder which one what I needs to buy the product for water pump to stop the leaks…especially…I heard lots of good stories on oil leaking often and used your wonderful product to stop oil leaks!!!!!!! Thank you for asking about your Chevy Impala. Unfortunately, we do not manufacture a product intended to stop water pump leaks. A hard part repair may be your best option. As for the oil leaks, do you happen to know where the leak is coming from? Using the BlueDevil Oil Stop Leak would require you driving the vehicle 100-200 miles before you got the full benefit of using the product, so you would want to get the water pump replaced prior to doing so. Feel free to contact our technical support line at 888-863-0426 with any other questions. I have a coolant leak coming in to my floorboard on the driver’s side. It does not leak much at all when idling on the driveway but it leaks a good bit when I start driving. Would this product work for my 2000 Mitsubishi Galant. It sounds like you may have a leaking heater core. We recommend applying 16 ounces of BlueDevil Head Gasket Sealer (http://store.gobdp.com/head-gasket-sealer-38386/) to stop the coolant loss. Hi I have a 2002 1.2L vauxhall Corsa gls 16v, it has a leak when using hot air, smoke through vents that has like a sweet smell, only thing is its coming through drivers footwell not the passenger side, is this still a leaking hearter core ? Thank you for asking about your Vauxhall Corsa. Based on your description, it does sound like the symptoms of a leaking heater core. We recommend using the BlueDevil Head Gasket Sealer (http://store.gobdp.com/head-gasket-sealer-38386/) to help stop the loss of antifreeze and get the heater working efficiently again. I have a 2015 Jeep Patriot, it is not even 3 years old and it developed a swishing water noise when I would turn left with the Air on. Then I got a hot foot and had to pull off the freeway, I then learned burning hot fluid was dripping on my foot when it was on the gas pedal. The car was undriveable until I made a cardboard/duck tape shield to stop the hot coolant from getting on my foot. When I checked the coolant level it was between add and full. Is this a coolant leak? Have you heard of other near new Jeeps with this same problem (I have under 45,000 miles on this car and most of it is highway). Will your product work and is it dangerous to get on my body as the leak is dripping on my foot without the shield in place? Thank you for asking about your Jeep Patriot. 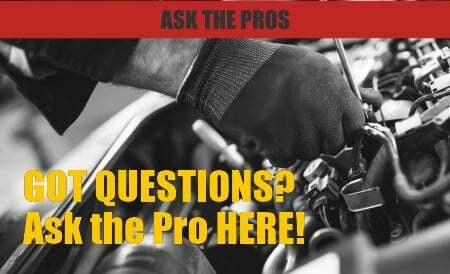 Have you verified if it’s a water/coolant leak or condensation from running the A/C? 45,000 miles is extremely early to be having any kind of a head gasket issue. It doesn’t seem like you are experiencing any of the tell-tale signs of a blown head gasket, so it sounds more likely that the A/C line is clogged. We recommend taking the vehicle to an A/C specialist so that they can unclog the drain. I have a 1994 Corvette. I am getting radiator coolant leaks in the floor on the passenger side. I have to keep adding water/coolant but the holding tank is usually a little less than half full when I check it rather than empty. The card has not over heated. Thank you for asking about your Corvette. Based on your description, we recommend using the BlueDevil Head Gasket Sealer (https://store.gobdp.com/head-gasket-sealer-38386/). The fact that it doesn’t sound like you are losing water/coolant too quickly, would you make the vehicle a great candidate for the product. Feel free to contact our technical support line at 888-863-0426 with any other questions. Hello my 2006 Ford Mustangs check engine light came on when antifreeze came in on the driver side while I was driving. I parked it and I think it is the heater core but what happened to it. But Ford also replaced the heater hose. I just wanted to ask the question before I took it back to them and have to pay for a diagnostic and from 1000 – 1500 dollar to get it fixed can I use this product. And also prior to this happening when I would have my AC on my window would get condensation on it. Thank you for asking about your Ford Mustang. The BlueDevil Head Gasket Sealer (https://store.gobdp.com/head-gasket-sealer-38386/) would be able to seal a heater core leak. Be sure to check the cooling system capacity table, on the back of the bottle, to ensure the proper amount of product is used. Hi! Ok so I have a 96 chevy ck. I have used Blue Devil transmission sealer and Blue Devil radiator flush well which I’m very happy with the results but now I have another issue fluid pouring on the ground outside and fluid pouring in the floorboard so I’m suspecting it is a heater core would any of your Blue Devil products fix that, if so which one would you recommend. Thank you so much ~ love your products!! Thank you for asking about your Chevy C/K. We are happy to hear of the success you have had with some of our other products! The best product to use for your heater core leak would be the BlueDevil Head Gasket Sealer (https://store.gobdp.com/head-gasket-sealer-38386/). Be sure to follow the cooling system capacity table on the back of the bottle to ensure the proper amount of product is used. My bmw 325i had a little smoke coming out the ac vent. There is coolant on the drivers side floor by the gas pedal and not the coolant light is popping up yellow. Thank you for asking about your BMW 325i. Have you verified whether it is coolant(antifreeze) or water accumulating on the floor? Is the vehicle overheating at all or are you seeing any other symptoms? Please contact our technical support line at 888-863-0426 so that we can get a little better understanding of the vehicle’s condition and be able to make any appropriate recommendations. Hot steam comes out from the heater inside the car and then the heat gage would go up. We removed the thermostat and the heat does not come out from the heater anymore but it still loses water. The inside of the car floor is also wet. What can the cause be of this? Thank you for asking about your Opel Corsa. Based on your description, it sounds as though you may be experiencing a heater core leak. Removing the thermostat would affect the heat coming out, however, water found on the passenger side floor would indicate such a leak. We recommend using the BlueDevil Head Gasket Sealer to help stop the loss of water and return your heater core to normal functionality. Replacing a Rear Main Seal — My Transmission Will Not Shift!